Artificial Intelligence has been present in our society for decades, but can now be considered as “coming of age”. The increasing application of Artificial Intelligence (AI) technologies in many Industries is in part due to the progress made in AI technologies, the availability of highly powerful computing resources, as well as the existence of the massive amounts of Big Data that are needed to facilitate algorithmic learning. The ETSI summit on AI will seek to separate the hype from the science and provide better understanding of Artificial Intelligence, Machine Learning and Deep Learning, as well as describing where AI is currently deployed using practical examples. AI is becoming an integral part of our networks and services, and is present across multiple domains such as finance, manufacturing, medical, telecommunications and transportation to name just a few. The summit will examine how AI will be used in telecommunications, particularly in network and service management for virtualized networks. 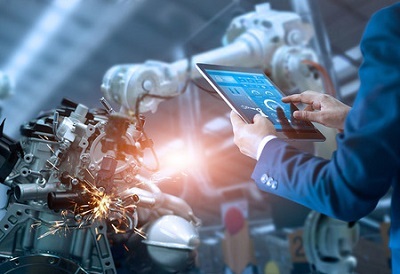 One domain where AI will be particularly transformational is in the manufacturing industry, bringing improvements in productivity and quality through the applied use of robotics and analytics. This will be examined in a dedicated session during the event. Particularly relevant to the work in standards, is the question of how AI can also be used to help us to standardize in different ways, better and faster. What are the opportunities and threats for standards makers and standards users? This summit is of particular interest to: leaders from the Manufacturing Industry; decision-makers in AI strategy and adoption; professionals, experts and researchers involved in AI developments and deployments; National Security Organizations dealing with security AI elements; European Commission and regulatory organizations; ETSI, oneM2M and 3GPP members who are working with AI; Standards Developing Organizations and Fora representatives who are active in the field of AI.